These versatile custom printed 12 oz solo cups are perfect for serving cocktails, iced tea, punch, and more at your grown-up birthday bash. Choose from clear, white, blue, or red cup colors. 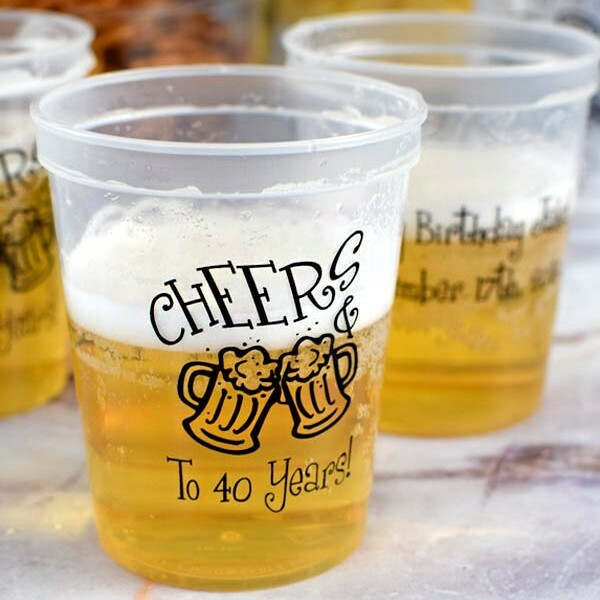 Each custom printed cup is personalized with a fun adult birthday design and a custom message. Personalize the front and back of your cups for no additional charge. 12 oz, disposable solo cups measure 4 1/2 inches tall by 3 1/2 inches in diameter. Choose from clear, white, classic red, or blue cup colors. A versatile cup that is great for a number of different drinks. 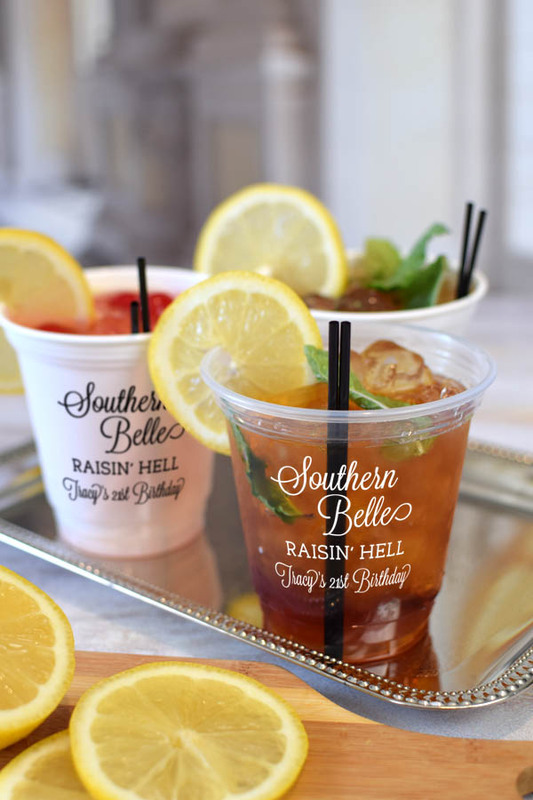 These versatile custom printed 12 oz solo cups are perfect for serving cocktails, iced tea, punch, and more at your grown-up birthday bash. Choose from clear, blue, or red cup colors. White cup color has been discontinued and is no longer available. I love my cups! very good quality and look just like I wanted them too. Also I received them very quickly. I would definitely order from them again! Ordered these for my husbandÃ¢â‚¬â„¢s 40th birthday party. Everyone loved the personal touch! Only thing I wish was that the white font was easier to see on the clear cups. These cups were perfect addition to our festive 30th anniversary event. Although they were a little hard to see once the evening darkened, they held up nicely and I would recommend. Great and was very highly complimented at party. These cups were a hit! I got them for my husbands 30th birthday and everyone loved them. They really brought a little something extra to the party. I would 100% recommend these cups. The cups look GREAT!!! They're going to be the big hit at the open bar for my 40th b-day celebration. While the product was very cute, the color did not show up well and was almost unreadable. I think with clear, you almost have to pick white and large font. TippyToad - Hi Monica, We are sorry to hear you didn't like the hot pink imprint on the clear cups. We will be happy to look into this further for you. With the clear cups, the imprint color with depend on what liquid you are putting in the cup. For example, we do not recommend punch when using a pink imprint.